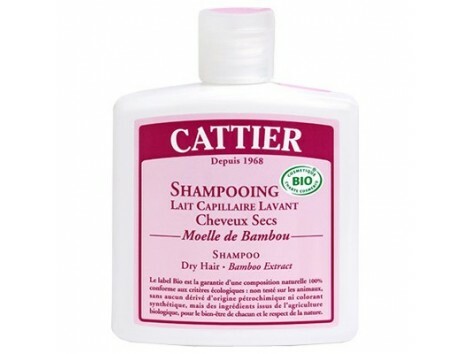 Dry Hair Shampoo 250 ml. Cattier. Milk capillaries heart of Bamboo Overview: Shampoo hair intensely nourishes dry hair, wrapping it and smooth thanks to the protective properties of the Bamboo Extract and Macadamia Nut Oil. 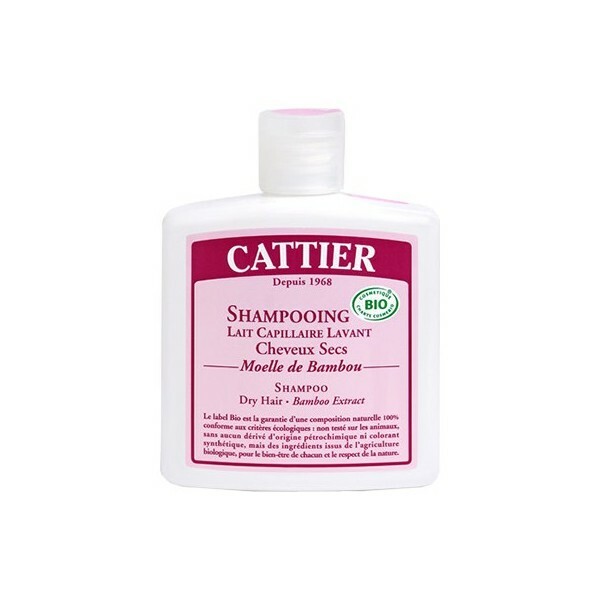 Its formula enriched with wheat protein strengthens the hair and what unravels. The selection of essential oils leaves hair soft aroma. Endorsement: Ecocert-BIO Composition INCI: Aqua, Lavandula Angustifolia Extract *, Ammonium Lauryl Sulfate, Sodium Cocoamphoacetate, Cocamidopropyl Betaine, Phospholipids (and) Glycolipids (and) Soybean (Glycine Soja) Oil (and) Soybean Sterol, Macadamia alternifolia *, Vinegar, Glycerin, Lavandula Angustifolia Extract, Rosmarinus Officinalis Leaf Extract, Salvia Officinalis Leaf Extract, Thymus Vulgaris Extract, Xanthan Gum, Hydrolyzed Wheat Protein, Bambusa Vulgaris, Sodium Benzoate, Parfum, Sodium Chloride, Phytic Acid, Benzyl Alcohol, Potassium Sorbates, Citrus sinensis, Orange Dulcis, Citrus limonum, Lavandula hybrida, Ocinum Basilicum, Artemisia Dracunculus, Pogostemon Cablin, Salvia officinalis, Myristica fragrans, Juniperus Virginiana, Lactic Acid, Limonene. * cbc = controlled biological cultivation. Tips: Apply to wet hair, massage gently until foaming. Allow a few moments. Rinse thoroughly with warm water.